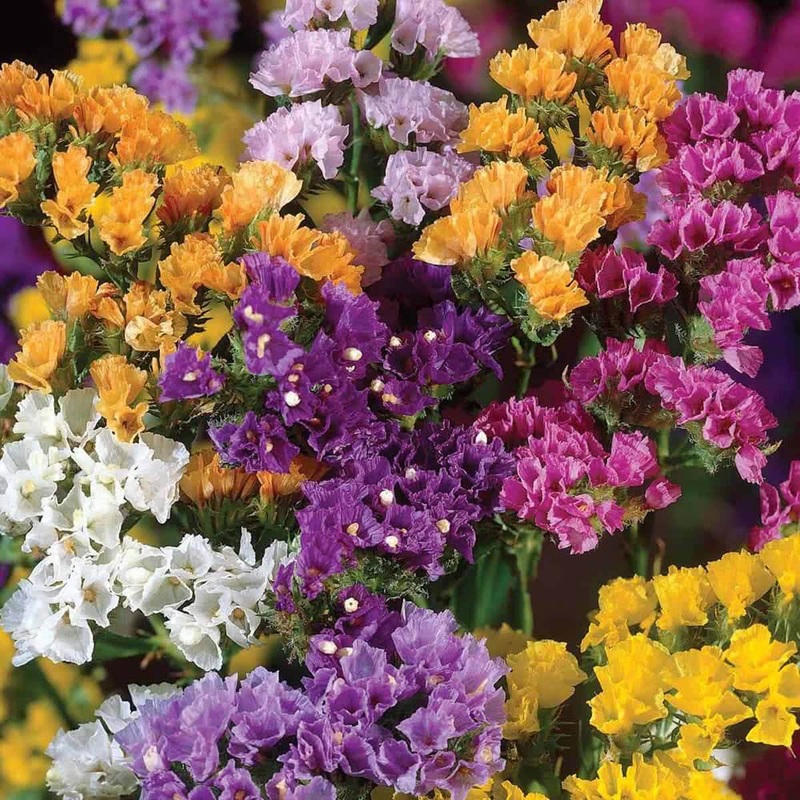 Statice cut flowers are long lasting in vase be it dried or fresh. Blooms develop in mid to late summer. It takes low maintenance and beautifies the indoor garden. 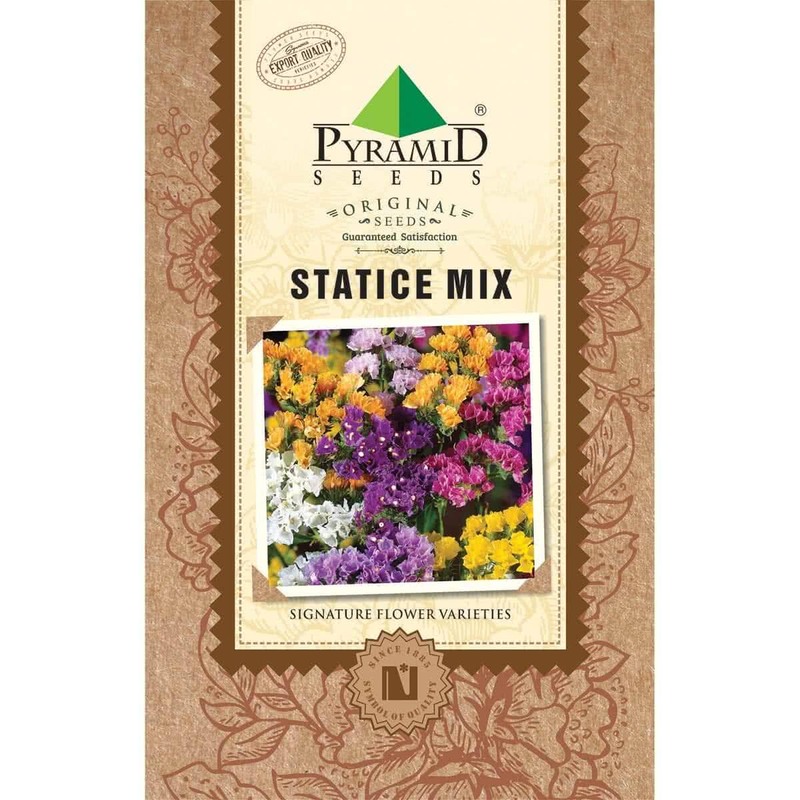 Introduction and Uses: Statice is a biennial, but is usually grown as an annual. The stems of this plant are hardy and angular; foliage is grey-green and deeply cut. The flower stalk is winged, and the calyx is toothed and straw-like. Flower colors range from white, rose, mauve, lavender, to dark blue; the most common color is rosy pink. Statice flower spikes resemble ‘Bajra’ corn-heads, though narrower and brighter in color. The flowers retain their shades for a long time when dried and are used for dry decoration as ‘Everlasting’ flowers. Statice is ideal for edging and borders; it looks extraordinary when planted in containers and closely grouped in flower beds. Statice is grown by direct seed sowing in pots, containers, and flower beds. Best time to sow seeds is September-November for winter flowering. For beds and borders, seeds can be sown directly and covered with a fine layer of soil. Immediately after sowing the seeds, water carefully with a fine hose-can. After germination, extra seedlings can be thinned after 2-3 weeks. Planting Distance: 30 cm apart. Use pots of 25-30 cm for container gardening. Watering: Daily light watering is recommended for first few weeks of seedling growth and potted plants. Outdoor beds can be watered once a week by irrigation. Bloom time: The plants flower in 3-4 months after sowing.